LOOKING FOR AN INVESTMENT OR TO MOVE IN? Well maintained property, in low traffic area of town, complex of 6 and space for enjoying the fresh country air. 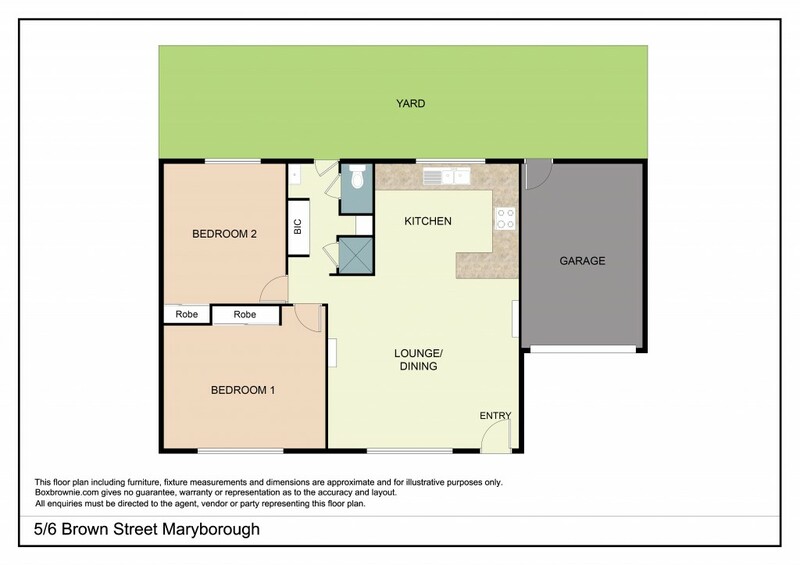 Open plan living are with dining and kitchen, good bench space and electric appliances including dishwasher. Natural gas space heater along with reverse cycle, so all seasons comfort at the push of a button. Single garage with auto door and private backyard fenced to give you your own space. Screen security door front and rear and all around 5 minutes drive to main street shopping. Periodically tenanted at $210 per week. The choice is yours, move in or keep the excellent tenant.